Last 8 years I spent in the HR field, where different products help people find jobs and institutions to find employees. Simplicity used to be our major goal. Anyone who ever searched for a job knows it's not the easiest activity. Certainly, it's not the most entertaining either. Some people would see finding a job as a job on its own. Throughout the years we've been doing a lot of research into how people look for a job. Numerous interviews have been done, questionnaires analyzed, journey maps built, behavior data calculated. The goal seemed clear: we need to simplify job search. Some even seen it being as easy as receiving the best job offer right to your email when you just thought about searching for one. We've done a lot to get closer to such simplicity. What we discovered in the process might put "don't make me think" mantra into a different perspective. Why is simplicity so crucial? For every conscious activity, we use brain cycles. Brain cycles is another term for thinking. Complicated activities require more brain cycles. Thinking is an effort, and as any effort, most people don't enjoy taking it. Especially when your product is not something they dream about. Following BJ Fogg behavior model: if your product is complicated to use the motivation of your users should be high for behavior to occur. The easier your product is, the less motivation required from the users. The additional problem is your product is never used in isolation. Never used in ideal conditions. Your product is always competing for attention and brain cycles of users with other products. Often users come to use your product in a state of mental exhaustion. In this state, the normal thinking capacity of a person is lowered. And so your product should be even simpler for users in a state of mental exhaustion. Coming back to a job search. At one point we've been able to show a user that comes to a website the matching vacancies. So a user no longer needs to search. The quality of those recommendations was equal if not better than the search results. It was a significant simplification for a user. Or so we thought. It turned out lots of users still preferred to search. Every visit they were doing same searches despite having the results of their search already presented to them on the landing page. This puzzled us. Why would any user choose a more complicated behavior instead of a simpler one? Obviously, we've decided it's our fault. The interface must be not simple or clear enough. Coming back to this conclusion, again and again, I now think we've misjudged it. As a job seeker, I want to put some thinking into a process of finding my next employer. (I wish to write such user story once). There is no denying that a job is an important part of our life. We're investing in our work: time, energy, talent, nerves... For some, a job is right up in top 3 the most important activities in life. If so - should finding a new job be as easy as ordering a pizza? What turns out to be the case for some people is that searching for a job should not be easy. It should be work. It should take effort. 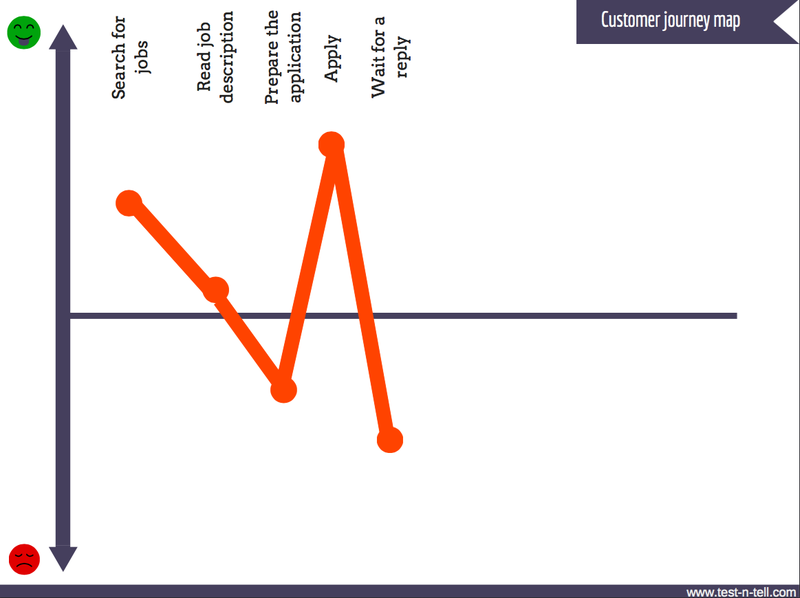 When we analyzed numerous user journeys on job searching, we've seen lots of people having a satisfaction moment after they made some searches, read some vacancies text and applied to a couple jobs. That is a curious moment. Nothing has been achieved yet up to this point. Just a few potential offers found and applications submitted. Yet it proves to be a high positive moment in a user journey. One of the possible explanations of that fact is a psychological one. The user feels gratification as a result of the work been done. Searching, reading, applying it's all work. And the perception of that work (how hard or easy it was) has a direct relation with the satisfaction job seeker gets when completing it. Which would explain why our efforts of oversimplification the job searching process haven't resulted in a significant satisfaction increase or a behavior change. It seems job seeker needs the job hunt to be somehow complicated. Not over-complicated, but also not oversimplified. p.s. it fits into the "Flow" theory by Mihály Csíkszentmihályi. Watch out for oversimplification. Learn in details how your customers use your product. Build a customer journey map and see what emotional reactions your users have in different stages of using your product. Remember that gratification should always be a result of some effort (some completed work). What effort your users need to put in? Is this effort (work) proportional to the reward (gratification) they receive? 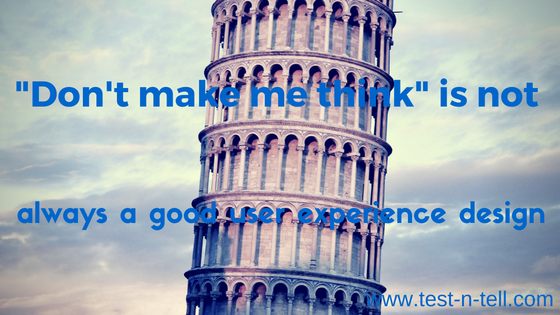 Maybe your users do like (need) to think (put more effort) when using your product? !